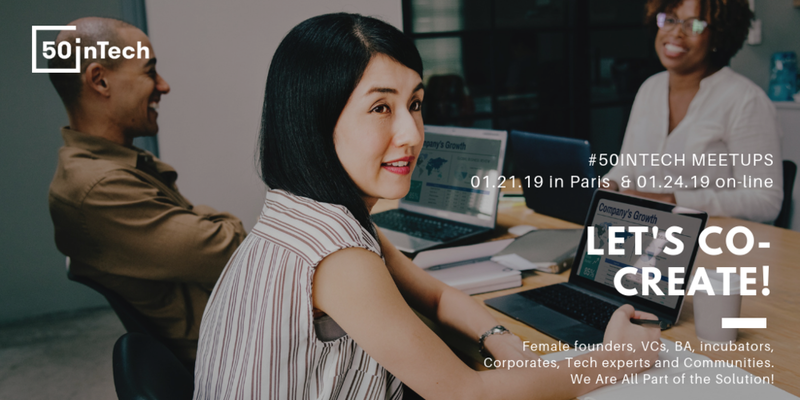 After launching a global survey for identifying the female entrepreneurs and those who help them succeed, we are very excited to engage with you in the second part of the project in January 2019: the co-creation of the platform to accelerate the success of female founders. A special on-line event for our international community, looking forward to hearing your ideas and your needs, sharing with you the results of the first meetup and confronting the outcome to all your local specificities. Design thinking is at the heart of #50inTech. Our workshops will be based on the data collected through our global survey revealed tonight and highlighted by inspirational talks with Clémence Desneiges, Valentine de Lasteyrie, Laetitia Chabannes, Jean-Marc Benaily. We will be hosted by Roland Berger.